Sparkling under the afternoon sun like a Jewel, a glimmering mirage in the desert, this is how Jaipur looks from the air, if you happen to land here on one of the hotter afternoons. 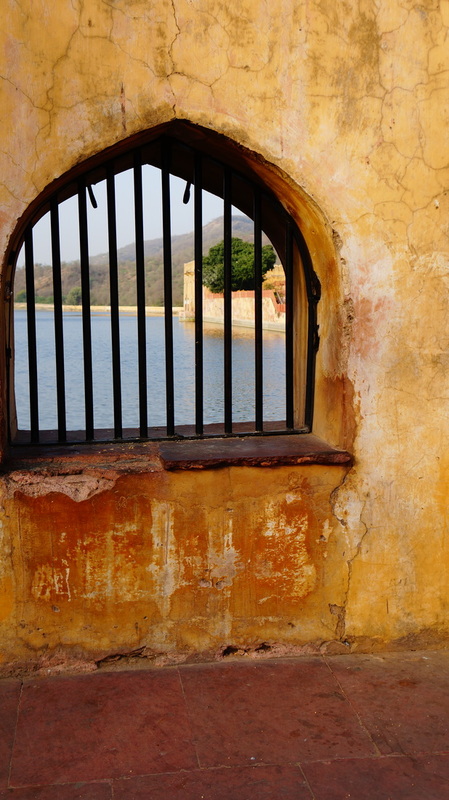 Jaipur is different from the rest of India, in a magical, historical sort of way. Legends unfurl in this royalist of cities. Monuments like the Hawa Mahal (Palace of the wind), Nahargarh (a grandiose castle atop a mountain, surrounded by miles of fortress), and Amer or Amber Palace (the capital before Jaipur) stand sentinel to a time when royalty called Jaipur its home. Complete with camels, elephants, vividly coloured festivals, a vast, unique and killer cuisine, folk and tribal dances, and friendly, turban wearing desert folk, Jaipur has it all. 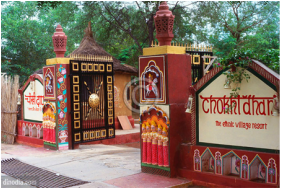 ﻿Chowki Dhani is the experience of Rajasthan in a nutshell for you (literal translation: good village), a hamlet constructed completely of baked clay. ﻿Forget about text book travel if you really want to experience any place. God is in the details. In colourful Rajasthan, find the heartiest and scrumptious-est meals, the traditional-est dances and the curious-est customs!